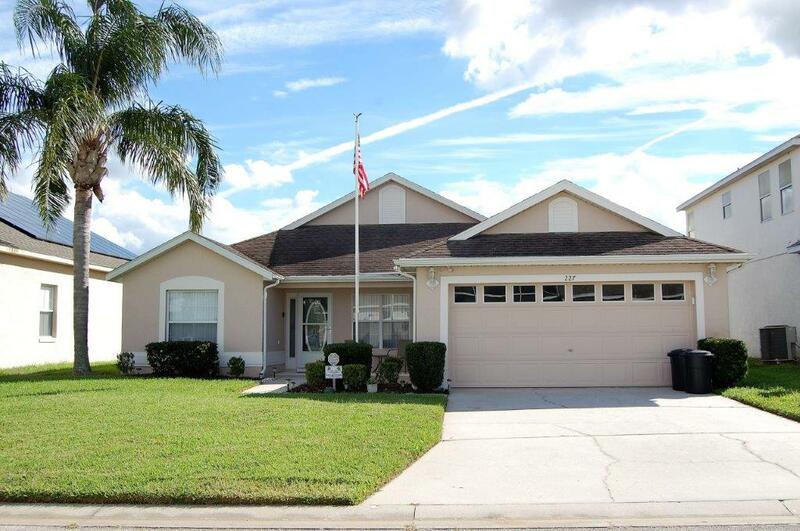 A beautiful four bedroom pool home backing onto the golf course. This move in ready property is tiled throughout, tastefully decorated and extremely well maintained. Currently used as a second home you can see the pride of ownership from the front screen storm door through to the south facing, inground private swimming pool. Located close to Disney and all the Central Florida attractions the home is being sold furnished as seen and is perfect for a primary residence, second home or short term vacation rental. With low HOA fees and access to the 600 acre Lake Davenport this home is going to go fast !! !